Pets can make us feel happy and help keep us healthy. Pets can make us feel happy and help keep us healthy. We can stretch like a cat and feel tension release from our body. To get some overall exercise, we can walk our dog 20 minutes a day or, if that is too much at one time, do it twice a day for 15 minutes, and it will be just as good. Spending time with our dog or cat or just watching an animal play creates physical changes as our body relaxes and our mood becomes happier. I know watching my dog run nonstop through the house a couple times a day makes me laugh and relax and wonder how long the rugs are going to last. Studies have shown having a pet can help manage our blood pressure and heart rate more so than folks who don’t have four-legged friends. Also, research has shown that people who have dogs or cats are less likely to die of a heart attack than those who don’t have pets. Pets can help lower your stress level. The stress hormone cortisol lowers, and the feel-good chemical serotonin rises. Depression can be a difficult problem for some folks, but remember, our pets love us unconditionally and can help make us feel better. You can talk to your pets, and they will listen forever, so we think. Caring for pets, feeding them and playing with them gives structure in a day which is good. As I wrote earlier, exercise is so good for dogs and walking is one of the best ways to get that. Walking your dog is considered a weight-bearing exercise for us humans. This strengthens bones and the muscles around them. Also when walking, there are benefits of Vitamin D from the sun. Many pets have the ability to sense when you are not feeling well and will stay close. Dogs can help people with some health problems. Therapy dogs can be trained to detect a sudden drop in the level of blood glucose of a diabetic. The dog can sense a chemical change in the body that gives off a certain scent and then alerts the diabetic so he can get a snack and help. Studies have shown that cats can benefit children in various ways. Young children can confide in cats as if they are their friends. Also, there has been some research that shows pet ownership can help children with ADHD and autism. Teaching children at a young age to help care for a kitten teaches them to be cooperative and a sense of responsibility. Health wise some studies have shown that children who grow up with a cat are less likely to develop allergies. Dogs and cats can give us so much pleasure and are a help to us in so many ways. Please consider visiting the Central Aroostook Humane Society and adopting a friend for life. We have many animals just waiting for a loving home. We are open Tuesday through Saturday, 10 a.m. to 4 p.m., closing for lunch 12-12:30. 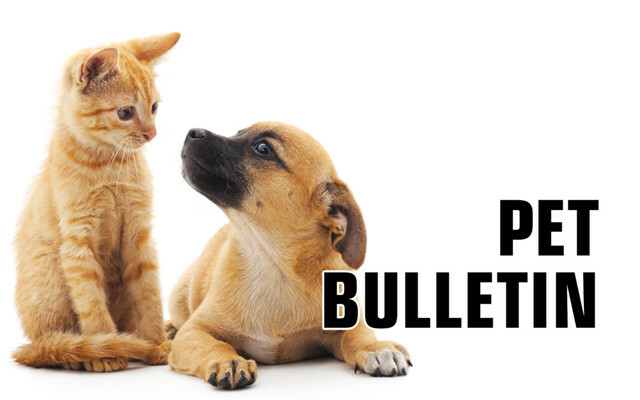 Please be responsible: spay and neuter your pets! Carolyn Cheney is a member of the board of directors of the Central Aroostook Humane Society.